We manufacture a wide range of Copper Wires, which is drawn into various thicknesses to cater to different requirements of the world-wide clients. Copper Winding Wire is manufactured by us using the latest machinery and properly finished to improve its endurance and other properties. 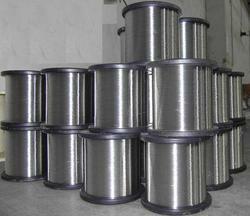 We can provide Tin Coated Copper Wire and Annealed Copper Wire in bulk and that too at the most competitive rate in the industry. 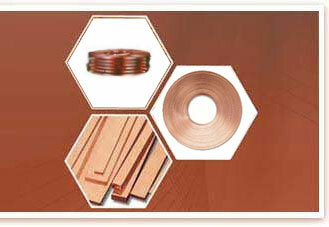 As a result, we are recognized as a Copper Wire Rods Manufacturer and Exporter from India. Each batch of Copper Wire undergoes strict checking to ensure matchless quality on different parameters. 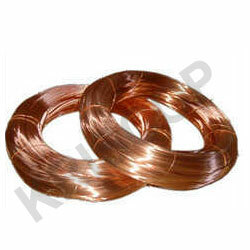 Copper Wire Rods are drawn down to thick (8 - 1 mm), medium (1 - 0.40 mm), Fine and Superfine (0.40 - 0.05 mm) diameters. Wires can be produced as Tin coated, bare, and hard or annealed according to the customers demands. 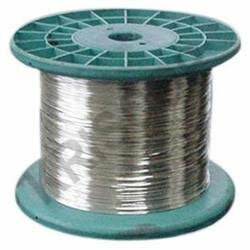 Our annealed copper wire, tin coated copper wire, copper winding wire etc are of top quality. 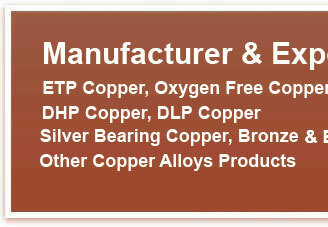 We have gained huge appreciation of our clients by providing them a premium quality array of Nickel Plated Copper Wire. These products are designed and manufactured by the use of high grade quality materials and modern techniques of fabrication. 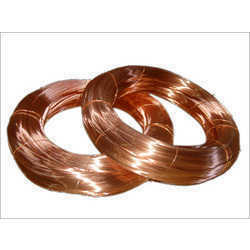 With the help of our team of highly experienced professionals, we are involved in manufacturing, exporting and supplying our clients an extensive assortment of Tin Plated Copper Wire that has the ability to withstand with high temperature. 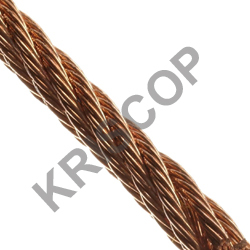 KRISCOP Braided Copper Wire are designed and developed using quality materials and advanced technology support. The range is free from any defects and is ideal for different uses. Further, we also ensure these meet defined industry standards including IS 13730 / IEC 60317 Part-31: 1997. 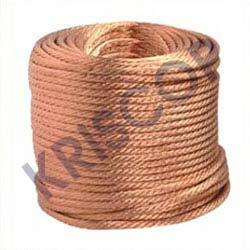 KRISCOP Copper Braided / Stranded Ropes are designed and developed using quality materials and advanced technology support. 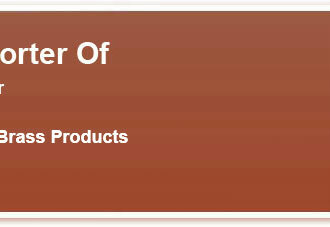 The range is free from any defects and is ideal for different uses. 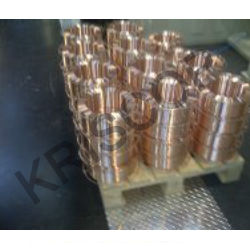 KRISCOP DHP Grade Copper Wire are drawn down to thick (8-1 mm), medium (1-0.40mm), Fine and Superfine (0.40 â 0.05mm) daimeters. 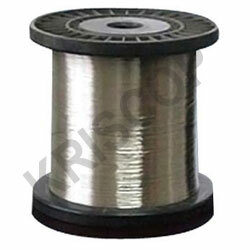 KRISCOP DHP Grade Copper Wire are drawn down to thick (8 - 1 mm), medium (1 - 0.40 mm), Fine and Superfine (0.40 - 0.05 mm) diameters. We manufacture a wide range of ETP Grade Copper Wires, which is drawn into various thicknesses to cater to different requirements of the world-wide clients.